Before A Run On The Track. Learning the Importance of Measuring, Ironing, Cutting, & Pinning In Sewing Camp! We ❤ math in small groups with our First Grade Teacher, Mrs. Aupperle! Mrs. Beam's 2nd Grade RTI Independent Reading Group Use Guided Reading And Word Work. Mr. Ahn’s 4th Graders Work On Mini Reports In Social Studies By Creating Slide Decks On Chromebooks To Compare W.E.B. DeBois & George Washington Carver. Kindness Week Continues at Carlton Avenue School! We have a beautiful community. ❤️ A special reminder that kindness matters all year long! Mrs. Olvera's First Grade Students are Getting started with Adobe Spark Video! Mrs. Almario's Third Grade Are So Excited To Take On The Cardboard Challenge 2019 With Their Little Buddies In Mrs. Rast's First Grade Class!! First Grade Students in Mrs Rast's Class Engaging in Guided Reading! What a Kindergarten VirtualReality field trip to Antarctica looks like and sounds like! A wonderful opportunity for students to “visit” the snow as they’re learning all about it in class! Thanks for taking them there Miss Yadegar ! In Ms. Yadegar's Classroom We Used Our Multiple Perspective Sunglasses To Decide Which We Would Rather Be! What Would Your Choice Be? Can You Believe We Sent Students to the Rainforest🌳 AND to the Moon🌒 on the Same Day? Using TY @GoogleARVR for Making this Possible for our Students in Mrs. Aupperle's Class During our Visit to Our MakerSpace! Thanks Mrs. Chia, STEAM TEACHER! Can you believe we sent students to the rainforest🌳 AND to the moon🌒 on the same day? TY @GoogleARVR #USDLearns for making this possible for our students in Mrs. Beam's 2nd Grade Class. Thanks Mrs. Chia our STEAM Teacher! Our Wonderful and Caring Staff! Carlton Cougars loved STEAM Night! Mr. Ahn Introducing Makey Makey to 4th Grade Students in the Makerspace! We are Excited to Explore, Create & Invent with Circuits ! STEAM Fair at Carlton was awesome! Thank you USD team for putting this on & to the parent and community involvement! Mrs. Lee Davis's Fourth Grade Students Enjoying Our Annual Bike Rodeo!!! Learning Safety Rules About Riding Bikes To School. Last Week, In Miss Yadegar's Classroom, We learned about Autumn. This week, we’re continuing our learning and taking notes along the way! A little bit every day can go along way. Recognizing Mrs. Fox for her heart & dedication to our school and students ... And for all the work behind-the-scenes on Constitution Day! Walk on the Wild Side September 29th Our Biggest Fund Raiser of the Year! STEAM Project in Mr. Phillips' 5th Grade Class on Native American Shelters. Turned Out Amazing! Students Reading While Ms. LaBarbera's 2nd Grade Students Lean in During Guided Reading Time. Busy 2nd Graders Inside and Outside of the Makerspace with Mrs. Chia, STEAM ToSA, this Afternoon. Planting and Designing Unique Grass Heads with Mrs. Beam, Mrs. Powell and Ms. LaBarbera. Walden West visits 5th Grades to get us ready for camp in October 15th to 18th! Miss Baker's Third Grade Students Having Their First Library Session with Mrs. Montazeri! Celebrate Creativity, Courage and Collaboration! Constitution Day...Monday September 17th...The Entire School Recited The Pledge of Allegiance and Listed to The National Anthem. Mrs. Blaylock's Transitional Kindergarten Students... Hands On Learning! We Teachers Have The Best Job Ever! Morning Message From Mrs. Katayama, Principal, About Rules And Being Kind. In Miss Baker's Third Grade, We tasted and graphed our favorite apples! We learned about sour and sweet, and why some apples are red and some are green. Well In Mrs. Almario's Third Grade Class! The Video Of It Hopping. But It Was Very Cool. We Are Super Excited About Our First Music Class! Peer editing in Mrs. Rose's and Mrs. Hendrick's Third Grade Class! Mrs. Almario's Third Grades Using EduProtocols Quizizz To Review What We're Learning In Math! Mrs. Aupperle's First Grade Writers Doing An Excellent Job Concentrating During Writer’s Workshop! Great design thinking going on in Mrs. Davis's Fourth Grade Classroom! Ss designing robots to battle each other! Design, test and redesign! Miss Baker's Student's in 3rd Grade...STEAM challenge! 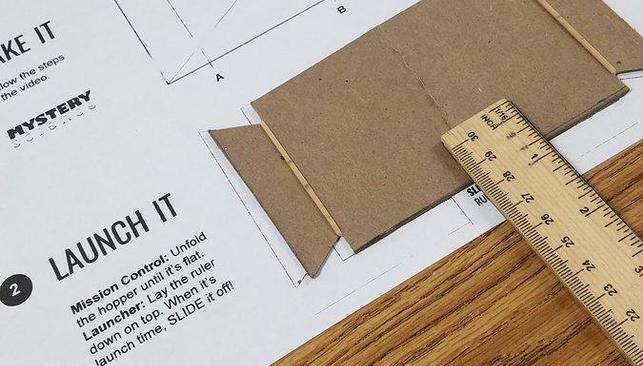 How can you make the longest chain out of one piece of paper? So much fun with math!! 1st Grade students subitizing with Mrs. Aoto! When we play... we learn! Exploring and building with shapes, sorting and counting objects, building friendships, practicing writing and sharpening our fine motor skills in Mrs. Hernandez's Kindergarten Classroom! A perfect start to the 2018-19 school year! Beautiful afternoon to take Dash outside for Block Coding Mrs. Rose's 3rd Graders ! Third grade loves Mrs. Cline! Thanks for showing us FlipGrid . Ms. Powell’s class learned about inference through the story, Lion vs. Rabbit by Alex Latimer. Students then made a positive word creation. Thanks for the recommendation, Mrs. Lavelle! Monday, April 22nd at 7:00 p.m in the Staff Room at Carlton Avenue School. Spirit Week ranks right up there with some of the best weeks of the school year. There’s just something about the camaraderie, fun, school spirit and school pride that unites the student body; and promotes morale among students, teachers, and staff. Wednesday, May 8th 6:00PM "An award-winning film that (depicts) messy struggles over social media, video games and academics. The film offers solutions on how we can help our kids navigate the digital world. Online sales are now open! $22.00 and this year they come with a special yearbook pen! Has your child lost a lunch box? Their jacket or water bottle? In an attempt to make it easier for children to find their lost items, the Lost and Found area is located between the School Office and Multi Purpose Building. It’s that time of the year again–TK-Kindergarten and Open Registration! Online Registration for the 2019-20 School Year opens on February 1, 2019. This process is only for new students to the District. Existing elementary and middle school students are automatically enrolled for the next school year. We look forward to meeting our new families and welcoming back those with younger siblings. Have you signed up on Remind.com? To receive important reminders, updates or announcements from our school through Remind.com, please sign up. Using your cell phone, text the message @carltonave to 81010 .Or you can open your web browser on your smartphone and go to the following link: rmd.at/cartonave. Welcome to the Carlton Avenue School Handbook, the official handbook providing parents/guardians, students, and community with campus resources, an overview of student life and Elementary School procedures. October 16, 2018 Our Principal, Mary Katayama, writes about new news that is happening here at Carlton Avenue School. Each month our Superintendent, Denise Coleman sends out messages to our community, updating you about happenings from around the district. On Tuesday, January 23, 2018, our Board of Trustees approved our 2018-2019 Union School District School Calendar and Student Calendar. A reminder that School Registration starts Thursday, February 1, 2018. Pick up an item or two to show your Carlton spirit! Red shirts for your child to wear on Spirit Wednesdays! A sweatshirt to keep you warm! A hat is perfect for those morning drop offs when you don’t want to do your hair! A coffee mug to drink that cup of joe in the morning! A tote bag for your kindergartner or to take to the library!